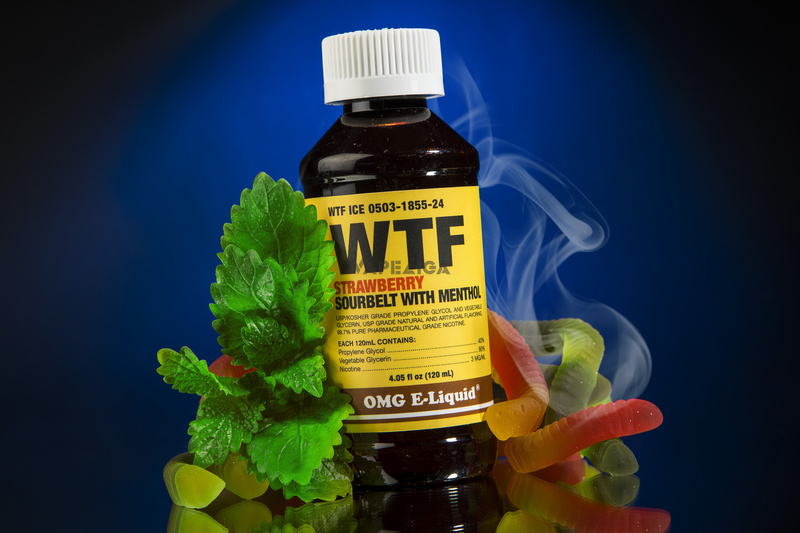 Do you guys remember WTF by OMG E-Liquids? Back in the day that was the most vaped e juice flavor across the globe. Well now it has been rebranded by the prestigious vape juice brand KILO and they have not only perfected the recipe but they have also produced bigger bottle sizes for us! Not the mention they even developed a WTF Ice menthol flavor too! WTF Ice has the flavor profile of strawberry sour belts that have been blended together with a little bit of ice menthol flavoring. The inhale consist of the strawberry gummy flavoring that causes your mouth to drool because the burst of flavor is so rich and strong. Upon exhaling is when the sour crystals mixed with menthol comes forth and leaves an everlasting cooling experience on the tip of the tongue. The throat hit is smooth and also very refreshing due to the menthol exhale. There is no burning or charring sensation whatsoever and you can fully enjoy this flavor profile without coughing up a lung. The bottle design is aimed towards a unique and trendy look which is why this e juice is bottled in cough syrup looking bottle. The label on the bottle is a yellowish with WTF Ice and OMG E-Liquids printed on it. The VG/PG ratio is a 60/40 blend which allows for maximum flavor while upholding big cloud production. E Cigarette Empire carried WTF Ice in a 120ML bottle size with nicotine levels of 0MG, 3MG, and 6MG. Whether or not you like menthol vape juice, this is a flavor you cannot pass up on!